Men and women carry extra belly fat differently, but in either case, the reasons for the extra cushion are not always related to overindulgence in pizza. You know how sometimes no matter how much you work out or how many crunches you do, there’s still a pooch? Here’s the thing: average diet and exercise plans may not necessarily work for the type of belly fat that you have. That stubborn bulge that refuses to budge could be caused by one of the reasons listed below. Also known as the spare tire, this tummy fat sometimes rests on your lap when you sit. Do you sometimes have back pain, feel hungry, or crave sugary foods? Booze is to blame for a pot belly, no matter if it’s big or small. Beer, wine, and other drinks are major culprits in blocking the body from breaking food down properly or your liver’s ability to burn fat. Alcohol also tends to be high in calories. Cut alcohol out or down, or drink “light” versions of beverages. Eat more fruits, vegetables, and lean proteins. After birthing a human or more, ye old belly stretches and that pouch seems like it wants to take up permanent residence. Even if you’ve lost the baby weight, you still might have a tummy. It could be caused by post-pregnancy diastasis recti, which causes the abdominal muscles to separate. 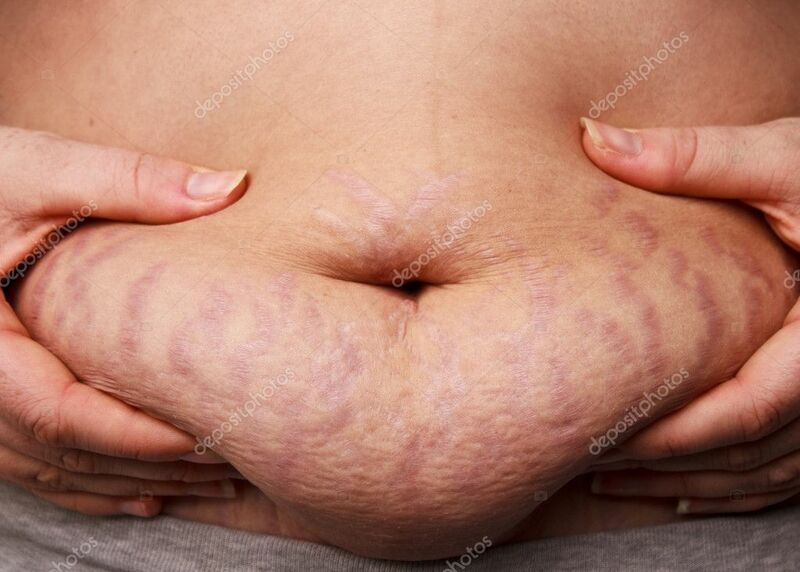 If your belly still looks like you’re carrying, it could be the result of this condition that causes your tissues to stretch. Insulin levels also go up during pregnancy, causing your abdomen to store fat. First, check with your doctor to rule out diabetes. Stop doing crunches and sit-ups, as they aggravate diastasis recti. Visit your doctor if bulge is accompanied by back, pelvic, or stomach pain. Walking and exercises that strengthen the pelvic floor and core are ideal; look for programs that are geared towards diastasis. Severe cases may require surgery or a physical therapist. That dang cortisol really messes things up for men and women who are dealing with stress. Cortisol itself is connected to weight gain because it causes the body to store visceral fat, but it can also cause anxious or stressed-out people to eat more. Fat tends to gather around the waist and may cause sagging in the midsection. Sleep patterns also tend to be poor, which is its own form of non-obvious stress. Get more rest. Go to bed earlier to help regulate your metabolism. Avoid junk food and overeating; watch out for triggers like cravings for sweet and salty foods. Kick caffeine – it raises cortisol levels. Eat a healthy breakfast to avoid cravings and mood swings. Exercise, do yoga, or try meditation to relieve stress. Hormone levels can sabotage your efforts to get rid of extra fat. High levels of estrogen linked to a thyroid condition can affect fat not only in the belly, but in the whole body – neck, shoulders, or legs. Low estrogen levels due to menopause can bring on a muffin top because less estrogen causes the fat to move from the hips and thighs to the abdomen. Women with polycystic ovary syndrome (PCOS) have elevated levels of testosterone, causing fat to hang out around the waistband and thighs. The condition can also cause insulin resistance, making you crave sugar and junk, thus growing a belly. In men, low testosterone leads to a slow metabolism and increase in abdominal fat. Eat healthy fats like Omega 3’s and 6’s. Up your intake of fiber – fruits, beans, veggies to lose the fat. Cut down on dairy and foods that cause inflammation. Light exercise like walking or yoga will help keep stress (cortisol) levels low. When you wake up in the morning, is your stomach flat but expands as the day goes by? It doesn’t matter if you’re on the slim or heavy side, you can’t escape the pouch. Causes of this tummy type include gas, food intolerances/allergies, imbalance of healthy gut flora, or poor digestion. After you eat, you may notice you have trouble with your bowels or feel bloaty. Could you have a problem with gluten? Not eating enough fiber? Experiment with cutting out a food or two (pasta, corn, yeast, etc.) to narrow down what foods could be causing problems. Take probiotics to help with intestinal flora. Drink lots of water throughout the day to help with digestion. Try breathing exercises that draw the breath deep into the diaphragm. Up your fiber intake with fresh veggies, nuts, legumes, and fruits. With all these types of tummies, eating healthy fats and engaging in an exercise routine that targets the deep abdomen will be most beneficial. Extra belly fat is a precursor to more serious health issues like diabetes, heart disease, or cancer. Speak with a medical professional about which physical activities and foods will work best for your tummy issues. Have you been running into trouble with losing your tummy? Do you think one of these descriptions fits you? Tell us in the comments!